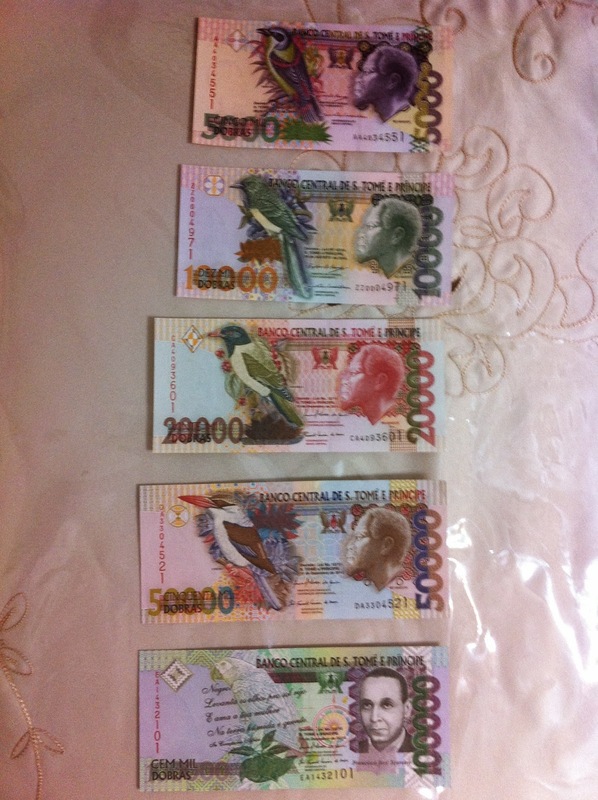 UNC complete set of Sao Tome banknotes set. The set includes six denominations that is 5000, 10,000, 20,000, 50,000 and 100,000 Debros. Sao Tome is an island nation located on West Coast of Africa. The native language is Portuguese. Dont miss the set and email me for further information. For Banknotes from Sao Tome, please write to me by email.